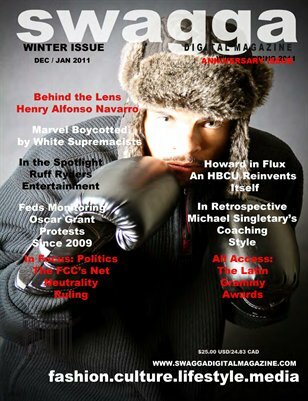 Swagga Digital Magazine is a quarterly publication illuminating people of color, from different backgrounds in four (4) areas, including fashion, lifestyle, culture and music. We feel there is a need for our publication for people of color that focuses through photographic illustration on the unique aspects of their lives. In addition, we try to promote books and reading, healthy nutritional values, healthcare tips, and community organizations making a difference in their respective niches, as well as fashion, lifestyle, art and entertainment, culture, mobile publishing and written word designated to each subject matter. We also showcase “On Our Radar” which are short stories inclusive of people, places and things that we feel people should be more knowledgeable of whom they are and why they are of importance.